Sammy moved to Alaska at age the tender age of one, where he spent most of his childhood years. By the time he was nine he was competing on USASA's halfpipe and slopestyle circuit. Sammy won many consecutive first place and overall titles in both disciplines garnering him his first sponsors before he was 10. In 2012, Sammy qualified for the Freeride World Tour taking home the championship in both 2016 and 2017. 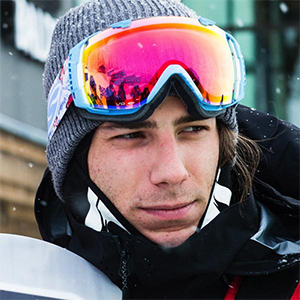 In 2016, after winning the AK event, he actually clinched the tour title before the finals in Verbier, a feat no other men’s snowboarder had accomplished. Sammy is a world renown freeride and backcountry snowboarder. He utilizes early season split missions as training for the season ahead, and end-of-season tours as a way to decompress after the rigors of the FWT. When not on the tour or in the backcountry, you can find Sammy at his home mountain, and freeride mecca, Squaw Valley USA. Last season Jeremy Jones and I camped high up in the eastern Sierras near Mt. Whitney. We had perfect weather and snow conditions, and the terrain we were focused on was like something straight out of the European Alps. Good vibes, low stress, and an awesome crew made this whole trip come together. On top of that Our trip ended up making it into TGR's film Rogue Elements. I’m looking forward to competing on the Freeride World Tour and making my own online video project focusing on easily accessible terrain here in Tahoe. When it comes to splitboarding and big mountain lines, Jeremy Jones has always been a huge inspiration. Also anybody from the boarderline Alaska crew. My wife and kids are a huge inspiration to me. They always push me to work hard and be a good person; they support me no matter what. Also, all my friends who I share the winters with, who keep it fun and positive - the way it should be. Because the gear is easy to use and functions really well in a variety of conditions. Put those things together and you have an easy choice.